Under the usual short timescales of Competition CGI production, we crafted exterior and internal stills to support the bid. For the presentation, the CGIs were given an extra level of magic and sparkle. As the audience watched the images slowly came to life with time-lapse effects and sound design; this depicted the movement of people and traffic, as well as changes in light and weather. The GOSH NHS Foundation Trust were looking for a multidisciplinary designer and prime contractor to deliver a new ‘front door’ building for the hospital. 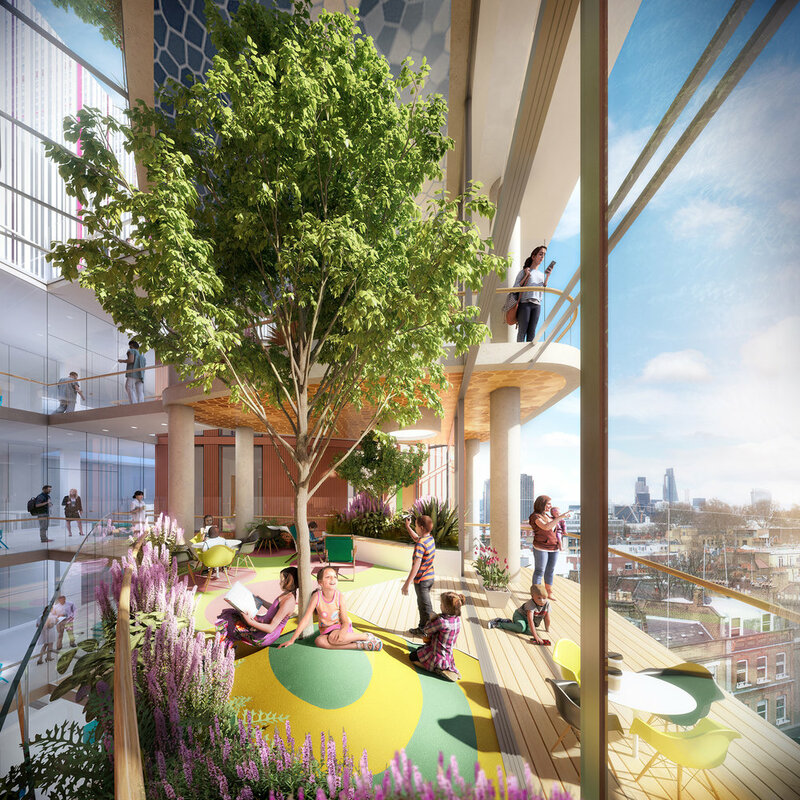 Planned to complete in late 2023, the £190 million project is the fourth phase of the historic children’s hospital’s ongoing redevelopment masterplan. ...just wanted to say thanks to the Team for the splendid work on GOSH. Really great perspectives and a very atmospheric animation. Well done all!